SOFTEAM released the UML Testing Profile module as an open source extension for the Modelio 1.2. You may find below the download information. The prototype is compatible with Modelio FREE 1.2.2, however we invite you to try it with Modelio Enterprise Edition. 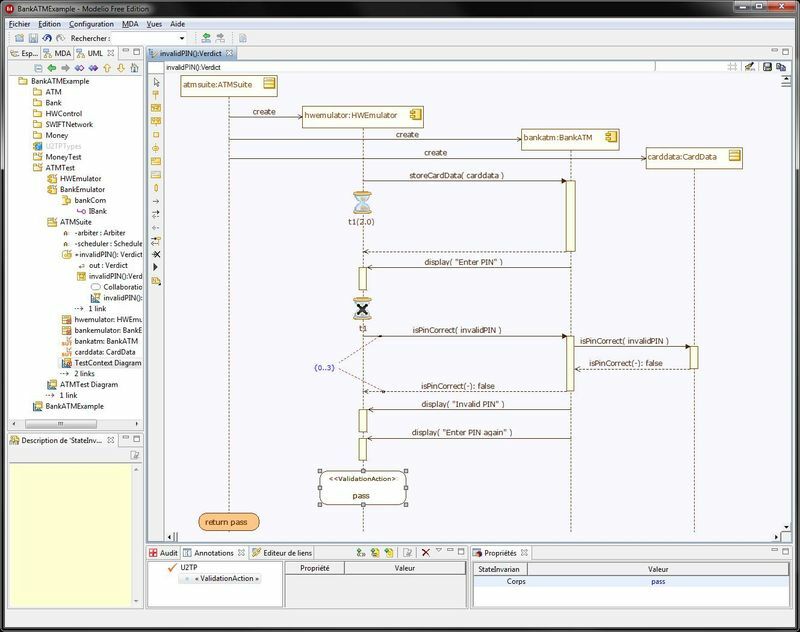 The UML Testing Profile implements the OMG U2TP 1.0 standard. Download, unzip and deploy UML Testing Profile module from the SourceForge. Check the User's Guide for more information. A nice example is also available in the distribution package.